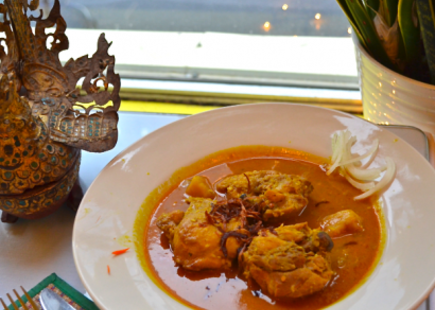 Come feast on 15 delicious dishes of Burmese food for just $10! On Thursday the 15th, EventStir and RuninOut will host a family style meal of typical Burmese fare at [aptly named] Burma in Chinatown. Think Groupon-meets-Square: you join the event, pay $10, then get to eat your heart out with your new group of friends. Starting at 6:30 at Burma (located a few doors down from Chinatown Express on 6th Street), you can explore the “only authentic Burmese food in DC” and lots of it. 15 dishes will be served family style, so get ready to experience the freshness of green mango salad and the bite of spicy fish curry.